These are pretty weird times so it perhaps feels less surprising than usual that a recent book recommends running a company where staff can help to set their own salaries, accounts are accessible to all, where there is no formal . . . There are plenty of things in today’s world that divide opinion – veganism, social media, Marmite – but Artificial Intelligence (AI) may have the widest range of commentary of any of these controversial topics. While Silicon Valley and co. are . . . The way we work has always been dictated by the technology available to us. As technology improves, says Charles Towers-Clark, CEO of Pod Group, the workforce adapts to match the new standard of efficiency, and a whole range of jobs is created . . .
Our WEIRD attributes are Wisdom, Emotional intelligence, Initiative, Responsibility and Development A company culture that puts people first is difficult to achieve when managers still dictate what happens in the business – so the question of how to create a . . .
How does HR fit into an artificially intelligent future? 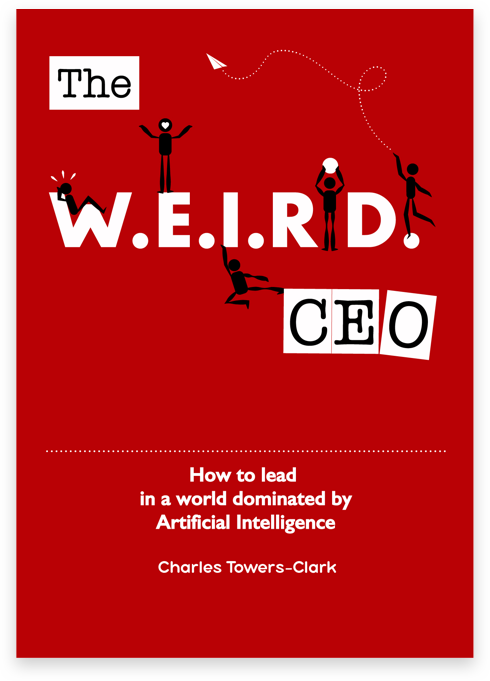 The WEIRD CEO – why ‘business as usual’ will soon be a thing of the past. The WEIRD CEO – why ‘business as usual’ will soon be a thing of the past The rise of Artificial Intelligence (AI) powered by Big Data is bringing radical change to our daily lives (just look at how much Google . . .
Charles Towers-Clark, CEO of online platform PodGroup discusses how artificial intelligence can help empower employees rather than replace them. The opportunity that AI presents is too large for businesses to ignore, that much is clear, but the narratives around it so far . . .